Grand Cayman, Cayman Brac and Little Cayman - the three pristine coral land masses which comprise the Cayman Islands - total just 1000 square miles. Yet this British Crown Colony, 480 miles south of Miami, is a leading offshore financial centre as well as a major tourist destination. Home of the green turtle (the national symbol), Cayman is perhaps best known for its diving and underwater attractions. The waters around the islands are exceptionally clear, making this one of the world's great dive sites. But, of course, there is more to see and discover. In this island portrait, containing over 140 colour photographs, Jenny Driver takes the reader on an in-depth tour of all three islands, highlighting not only the major tourist and underwater delights but also revealing their cultural, historical and artistic heritage. Above all, she provides an intimate portrait of the islanders themselves - close up - leading their everyday lives. 6. 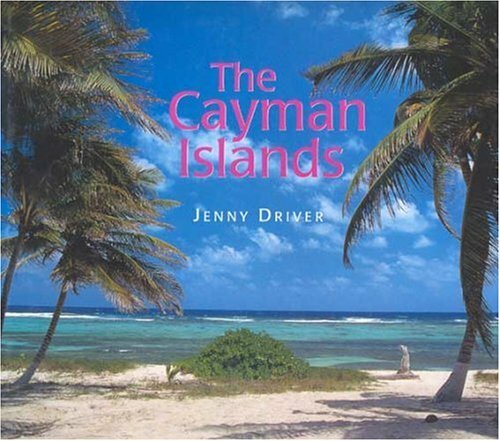 The Cayman Islands: Island Portrait Driver, Jenny, M.D.